Barney’s New York, Armani Exchange and the new location of the Kardashian owned Dash Boutique are some of the shops you will find along the stretch of Collins Avenue,between 5th and 9th Street. However, good deals can be had here as well since Urban Outfitters, a large Surf Style, Victoria’s Secret and Arden B are also part of the neighborhood. Conveniently located just a block from Ocean Drive and among many small boutique hotels, a lot of these shops are inside Historic Art Deco buildings and make shopping here double the fun. Find a map to Collins Avenue Shopping here. This outdoor pedestrian mall has for years been the #1 shopping destination for tourists and locals alike. It is also a favorite dining out spot due to all the out door seating and people-watching options. Lush vegetation, an assortment of fountains and wide walkways stretch from Washington Avenue to Alton Road, making for a very pleasant and vibrant shopping environment. Great deals can always be found at H&M, Forever 21 and The Gap. Many other well know chains can be found here as well. Come on alternating Sundays during season (Oct-May) and you may also happen upon the wildly popular Lincoln Road Antiques Market, and a charming and reasonably priced Farmers Market that sets up shop year round as well, every Sunday. Click to take a look at the Lincoln Road page for current deals and specials. 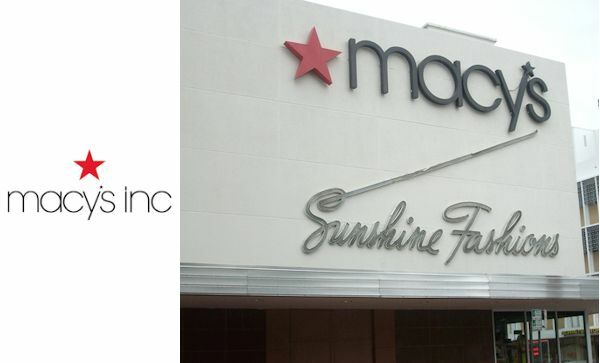 A Macy’s department store can be found just one block over from Lincoln Road, on Meridian Avenue and major sales events are a regular occurrence here. “Affordable Luxury” is their mantra and popular US designer brands such as Michael Kors, Ralph Lauren and Tommy Hilfiger are featured, as well as major cosmetics houses; Clinique, Lancome and Estee Lauder. These three run a “Free Gift With Purchase” promo on a rotating basis. The freebies always consist of multiple items packaged in a chic beauty bag and are usually a fantastic deal. Be sure to ask any sales associate for current in house specials, to get maximum bang for your dollar, across all departments. International tourists automatically receive a 10% discount by showing their passports. Find a map and directions to Lincoln Road here. 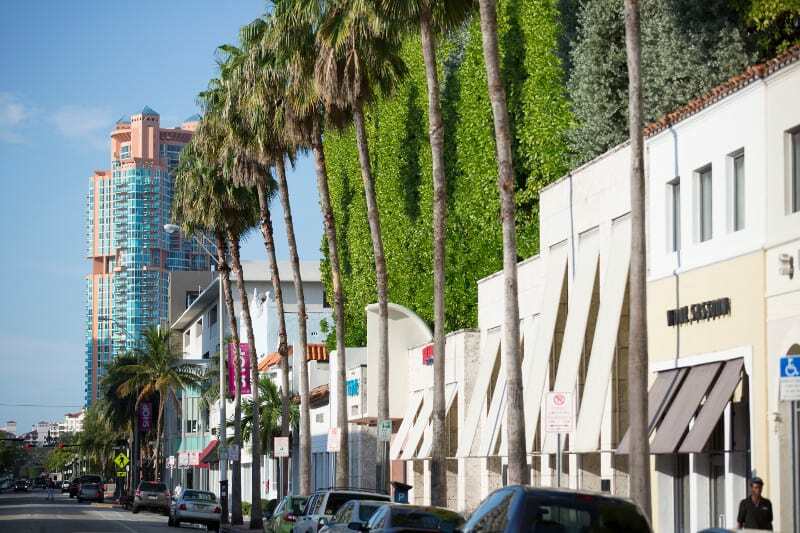 Washington Avenue is where you will find most of the independent boutiques and small shops on South Beach. Many of these have great sales and bargaining is often an option, something you cannot usually do at major chains. Check out Passage to India, for colorful clothing and jewelry, Star Image for blingy shoes and dresses or Reggae Wear for funky island vibe attire. 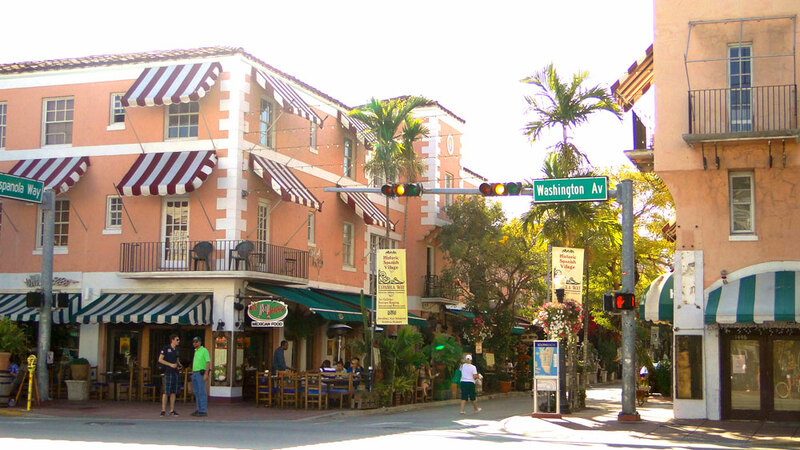 Detour along Espanola Way to search out interesting shops and restaurants and to experience a Mediterranean vibe. Since prices are often negotiable in the small independently owned stores in this area, depending on your bargaining skills you could walk away with some pretty great deals. Click to see a map to Washington Avenue.